Our MISSION is to provide excellent amateur and professional theatre in Transylvania County and to encourage young and old alike to develop and maintain lifelong relationships with the theatre arts, whether through participation or attendance. As part of our “Curtain Call Series”, this production takes place in front of the main curtain without a set. 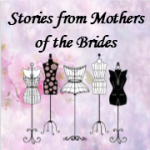 Written and directed by local resident Doreen Blue, it’s a series of monologues, highlighting characters’ reactions to the dresses they wear for their daughters’ weddings, from funny to sad. This show premiered last year at BLT and ran in several locations throughout the area to much acclaim. Revisit some of the original stories as well as some new ones in this touching and hilarious production. This is a free production with a $5 donation appreciated at the door. musical Our ninth annual "Broadway Cabaret" fundraiser where songs from Broadway musicals are performed. The cabaret atmosphere is enhanced with table seating, snacks are provided and drinks are available for purchase. A group of sixth-graders are eager to win the Spelling Bee for very different reasons. In hilarious, touching, and catchy songs, each speller reveals their hopes, struggles, and passions as the bee continues. Audience members are also invited onstage to test their spelling skills. Sam has been persuaded by a strange woman to transport a doll across the border, not knowing that sewn inside is heroin. When the woman is murdered, 3 con men start looking for the doll in Sam’s apartment where his blind wife, Susy, also resides. One man kills the other two and a deadly game of cat and mouse ensues between the two. When darkness falls Susy turns off all the lights leaving both to maneuver in the dark until the game ends. comedy A church Christmas program spins hilariously out of control in this Southern farce about squabbling sisters, family secrets, a surly Santa, a vengeful sheep and a reluctant Elvis impersonator. The feuding sisters eventually find a way to pull together and present a Christmas program the citizens of Fayro will never forget. Their hilarious holiday journey through a misadventure-filled Christmas Eve is guaranteed to bring joy to your world!